PRE-CONSTRUCTION, TO BE BUILT. Brand new construction from one of the Bay area's most popular builders. Lucaya Lake Club is a rapidly growing community in South Hillsborough County. Residents enjoy our resort style amenities including a clubhouse, fitness center, splash park, playground, and swimming pool with covered cabanas. The most beautiful feature of this community is its 78-acre lake accessible to all residents for canoeing, kayaking and paddle boarding. 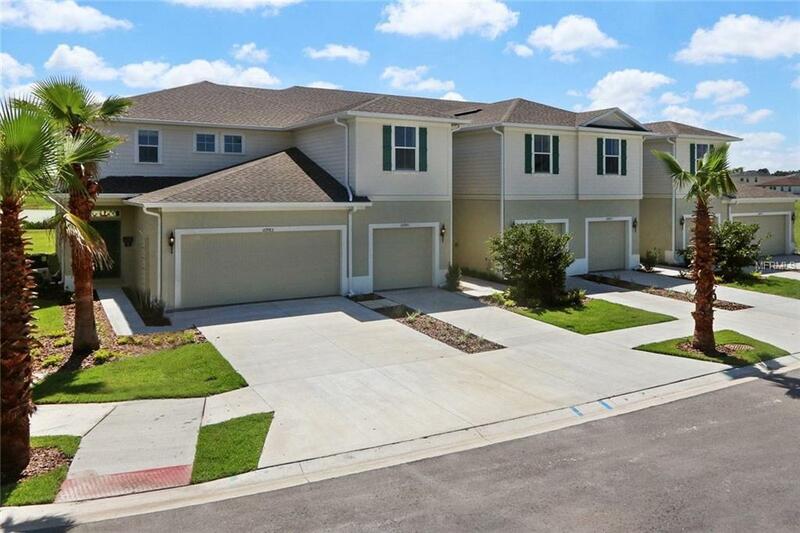 This townhome features 3 bedrooms, 2 1/2 baths, a loft, covered lanai, and a 2 car garage. This townhome situated on lot near our community pool without rear neighbors. You will find beautiful upgrades through this home including 42' maple cabinets, royal crme granite, 2 story ceilings in the family room, 1st floor master & laundry, and dual sinks in the master. This townhome is set to be completed for move-in by January 2019! Buyer will receive closing cost assistance with use of in-house lender NVRM. Disclaimer: Prices, promotions, and offers subjects to change without notice. Must use NVRM to receive promotion. Offer valid on new sales only. Cannot be combined with any other offer. See a Sales & Marketing Rep for details. All uploaded photos are stock photos of this floor plan. Home will look similar to photos.